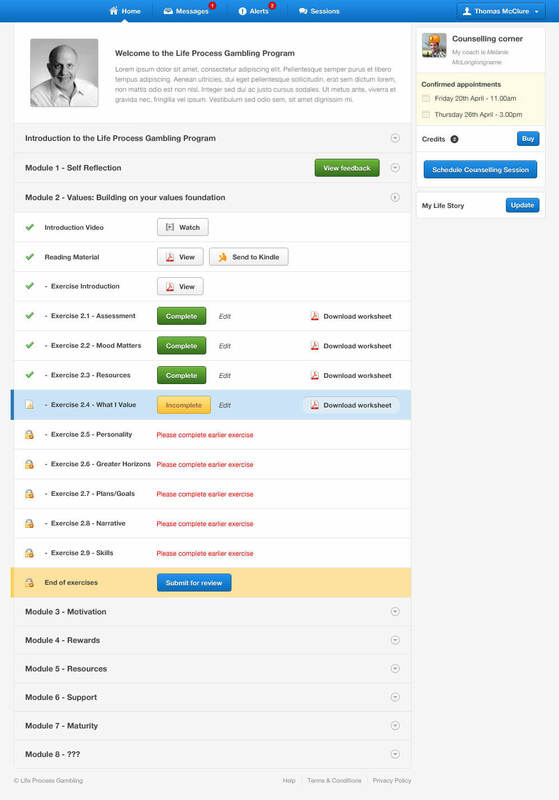 I designed the entire system interface that has three different type of users – clients, coaches & admin. I also designed the sales website. 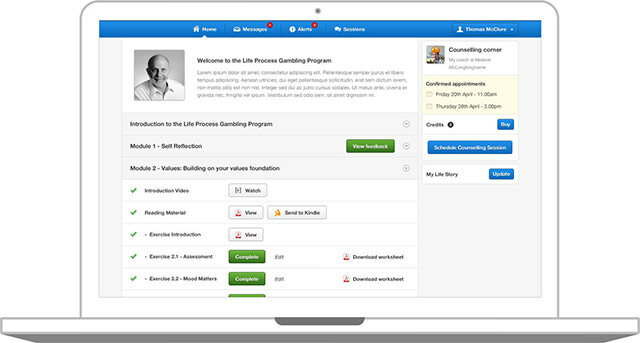 Users work through 8 interactive modules to gain the skills to live an addiction-free live. 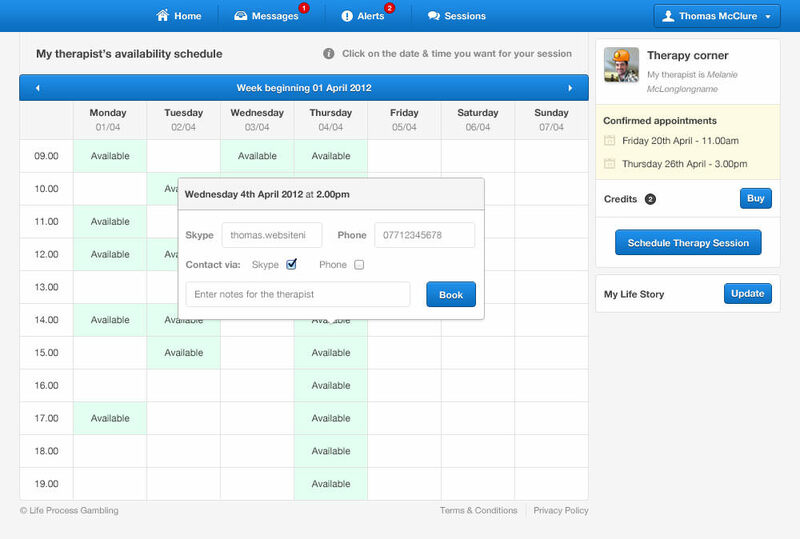 Users can also schedule one-on-one sessions with their therapist/coach from within the system. 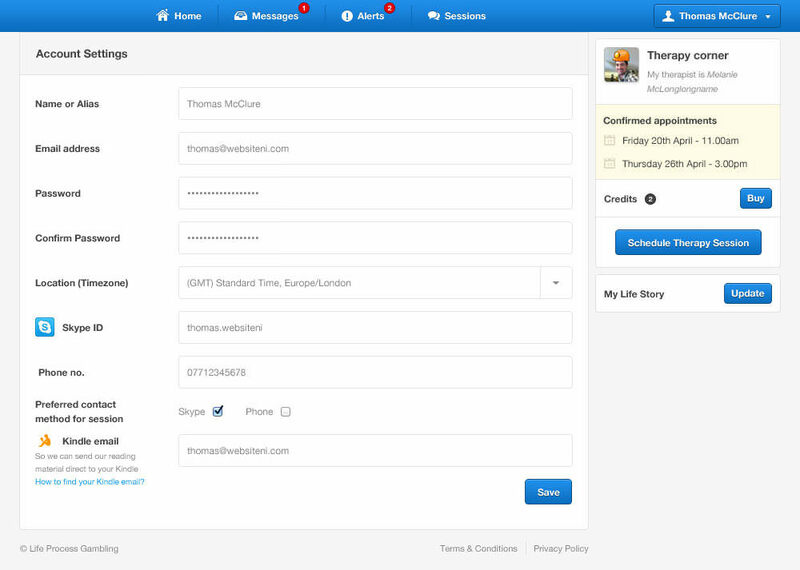 I designed the entire system interface that has three different type of signed-in users – clients, coaches & admin. I also designed the sales website.